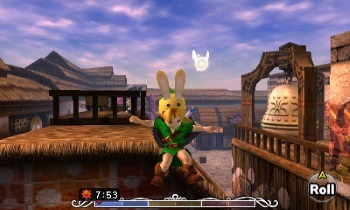 Struggles between good and evil are common themes in the Zelda universe. Something as superficially light hearted as the cel shaded Wind Waker was still underpinned by a battle with evil forces. Most Zelda adventures balance out a combination of whimsy and humour with just the right amount of edginess. It is what makes donning the green tunic such an enveloping, warm hug of an experience. 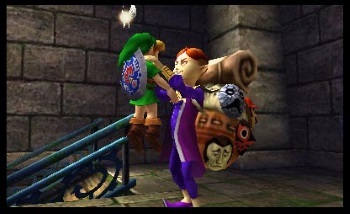 With its maudlin atmosphere and dark core, Majora’s Mask is considered the black sheep in the Hyrule timeline. This astonishing 3D remake gives modern players and revisiting fans the chance to experience what is one of the most unique chapters in both Link and Nintendo’s story. From the very outset, the sense of despair and dread permeating the alternate-universe Hyrule that is Termina hits you like a ton of bricks. A fine introductory vignette before you even hit start ends ominously. 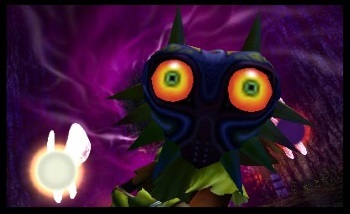 The Majora’s Mask motif is, in itself, a creepy sight to behold. And straight away the story stands alone quite starkly from anything the franchise has seen before. Link falls from a precipice, descending for aeons before being shaken violently by the terrifying-looking Happy Mask Salesman. “You’ve met with a terrible fate, haven’t you?” enquires the rictus-grinning peddler, as a childlike Link stares up with the impossibly sad eyes of the Deku mask. Some have speculated that Link is in a form of purgatory, that the story tells the tale of his demise and journey towards acceptance of the fact. And indeed, death and loss are at every turn. 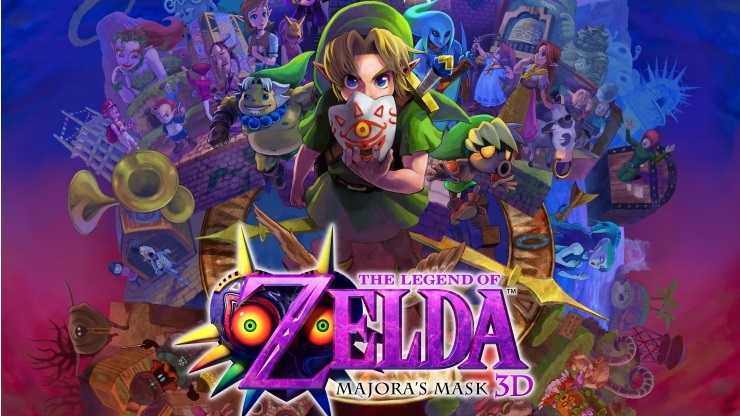 When Link inherits the game-changing masks that allow him to symbiotically lift abilities from their former owner – it is when the benefactor has passed on. Skull Kid serves as the villain of the piece – but his story is one of heart-wrenching sadness. An early flashback showing the curious little fellow before he has been gripped by the cursed powers of the titular mask is a devastating moment the likes of which you could never imagine Nintendo mustering. The sobbing Skull Kid, huddling in a hollowed out log, is rescued by benevolent fairies. He carves his mark into a nearby tree. It shows the innocence and humanity behind the terrible mask. He may be guilty of some terrible things, but you feel for him. 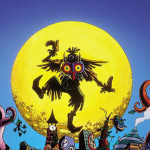 Compelled by the evil inside him, Skull Kid seeks to crush the land of Termina with a giant, anthropomorphic moon. Among the most unpleasant and frightening denizens of any game, the foul grin and piercing eyes of this demonic celestial body are both an unforgettable sight and a reminder of the core game mechanics. Unlike the free reign of its N64 predecessor, Majora puts you against the clock. You have exactly three days in which to work, with the cycle ticking along in an approximation of real-time. At the end of the third day, the moon will strike the ground, and it is ostensibly game over. Using the time-travelling powers of your Ocarina, you have to flit back and forth between days. The Song of Time resets the three-day cycle, but you lose all of your rupees and any dungeon progress. Each character will have a different routine that they follow throughout the cycle, but it is only Link (and thus you) that is aware of the impending destruction. It is up to you to figure out the puzzles based around this premise, and access the dungeons in order to obtain the items needed to stop Skull Kid. This is made much easier thanks to the Bomber’s Handbook, a journal you gain early on that records all of the salient information and acts as a reminder of who is doing what, and when. There are also a number of masks to be collected. A trio of key masks (Deku, Goron, and Zora) mimic some of the different tunics and clothing items from other games, and lend you special abilities that aid your progress once found. There are a further 21 masks to find, some of which have status enhancements attached, or will change the way other characters perceive you, often to your benefit. This means that there is much less hand-holding and far more trial and error involved in conquering Majora’s Mask. The way the 3D version has been handled makes superb use of the console and means that the obliqueness and difficulty of the source material is made much more palatable and intuitive. As well as upping the frame-rate and looking utterly gorgeous, this re-engineered version has the benefit of allowing you to assign extra items to the X and Y buttons, eliminating the need for the upper screen to be cluttered with icons. Easy access to the Ocarina and notebook is welcome. Whether you are working with the face buttons, the Circle Pad Pro, the motion sensor abilities or indeed the new analogue nub, the camera and aiming system is brilliantly implemented. 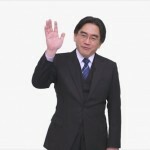 Purists will baulk at the new save statues (the original saved the game when you played the Song of Time), and they will almost certainly choke on their green potion at the inclusion of Shiekah stones, which do not so much as issue hints as actually show you how, where, and what to do – even revealing heart pieces. Any old school Zelda nuts are advised not to use these mammoth Gossip Stones. Another “cheat” comes in the form of a new Ocarina ditty: The Song of Double Time, which allows you to handily jump to a specific hour of any given day. 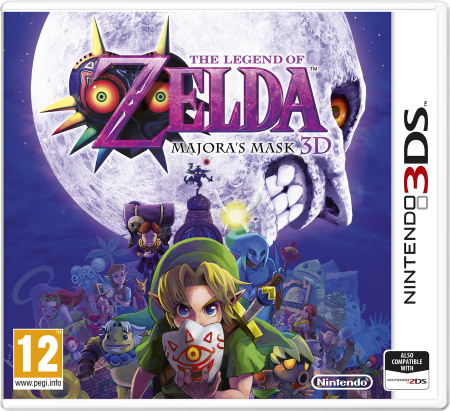 While the 3DS is crying out for its own original 3D Zelda, things do not get much better than Majora’s Mask; especially for fans of the series. It is a powerful and emotionally driven tale that features an incredibly clever structure that is far more intelligent than anyone really gave it credit for at the time. It’s equally intriguing and unsettling spending time in this bizarre version of Hyrule, with characters you have met before…but are different, here. With a musical score that becomes increasingly more urgent, darker, more sombre, reaching a claustrophobic, overwhelming crescendo on the final day as that celestial dreadnought bears down on the villagers. Unforgettable. Magical. Essential. New additions will benefit newcomers. Very maudlin, and very difficult. Lack of handholding may confuse younger players.